Packing cubes are the secret to traveling carry-on only. Watch this video to learn why! Let’s be honest: as wonderful as it is, traveling can be stressful. 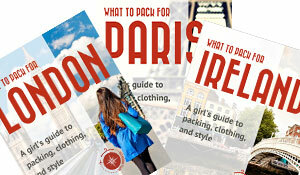 Here at Travel Fashion Girl, we aim to make your adventures as calm and hassle-free as possible. 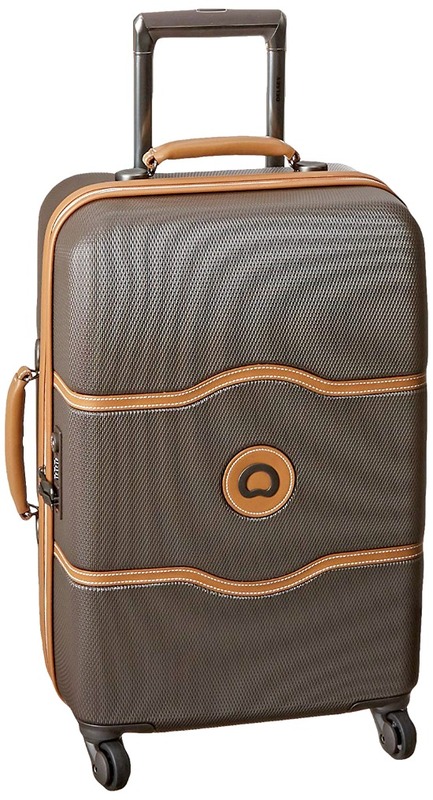 A sure way to decrease drama while traveling is to ensure you’re using the best travel luggage for your needs. Whether or not you choose to travel carryon only, always use packing cubes to help you organize and even compress your belongings to maximize your space. The following guide–with handy tips from industry experts–will assist you in choosing luggage or “portable wardrobe” for your exciting adventure. Tip: Creating a interchangeable capsule wardrobe is the key to simplified packing. Why Travel with a Suitcase? Personal convenience: Suitcases win hands down for their ease. You’ll hardly break a sweat easily maneuvering it through the airport. Wheels: It’s all about the wheels! It’s kind of satisfying to roll your suitcase with ease, secretly (smugly) watching fellow travelers buckle under the weight of their backpack. This convenient feature gives a major edge to the suitcase. A Sweat-Free Back: Need I say more? Health: Not everyone is physically able to lift a suitcase or carry a backpack due to health issues. 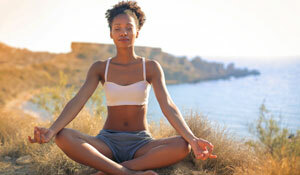 Read these tips on traveling with a bad back. Organized Packing: Nothing’s worse for travel organization than a top-loading backpack. Having a clear view of all your belongings when you unzip your suitcase is priceless. Find out how to choose the best luggage organizers. Safety: Hard cases have many benefits for durability and safety. Here are a few more tips on how to keep your valuables safe while traveling. Professionalism: A suitcase offers a more professional image when traveling for business (and at luxury hotels). Here are a few business travel essentials. 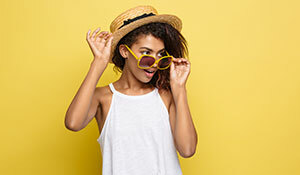 Ask yourself: “Where am I going and how am I getting there?” Olivia Hulett of Ricardo Beverly Hills suggests keeping these two questions in mind when choosing a suitcase: selecting the right case for the destination and length of your trip is essential. 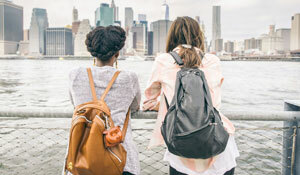 To learn the pros of traveling with a backpack, please read: How to Choose a Travel Backpack! Consider the items you plan to bring. This will help you determine the ideal features for your suitcase, which will help you when choosing luggage. Backpackers may want straps or pouches for sleeping bags, tents, hiking poles, etc. Business travelers might want a bag with an easily-accessible laptop and electronics compartment. Fashionistas might appreciate straps that hold clothes in place and reduce wrinkling. 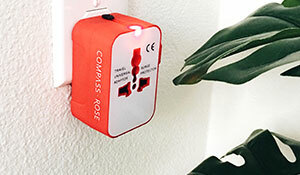 Determine if you’ll be checking your bags, dealing with difficult terrain, or if your travel is for business purposes. 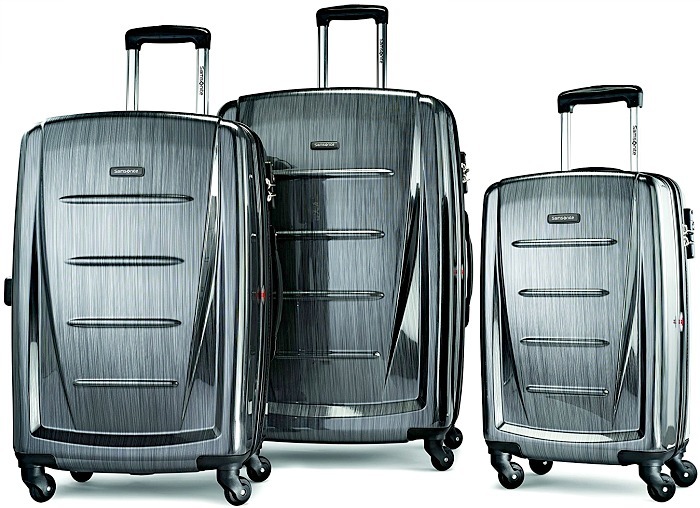 Keep reading below as we elaborate on each of these factors for choosing luggage. Size is an important factor when choosing luggage; no one wants a suitcase that is too big for them to physically manage–what a nightmare! Jacquie Whitt, co-founder of Adios Adventure Travel, notes that the overall size of the bag should be limited to what you can handle, since there may be times when no one is around to help you lift and maneuver it. Also, be sure to check the luggage allowance of all the airlines you’ll be traveling with. 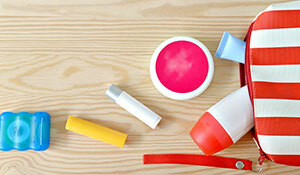 Different airlines have different size requirements, so don’t get caught unprepared. It’s key to consider the allowed weight of your luggage, too; the lighter the case the more you can pack/souvenirs you can bring home! It’s a good idea to test your suitcase before you travel. Check that the handle is long enough for your height, that the feel of the fabric suits your needs, and that it’s robust and hard-wearing enough for your journey. If you plan to order your case online, do it well in advance so you can return it and search for another if it doesn’t feel right. Ideally, we recommend that your travel suitcase measures 22” x 9” x 14” or less. This is small enough to fit into the overhead compartments on most airlines. Note that US domestic carryon size is larger than European carryon sizing. Choose an “international” carryon like these to be sure. 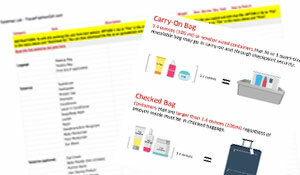 As a general rule, opt for a carryon no larger than 45” (length + width + height) and a checked bag no larger than 62”, which is standard for most US airlines. 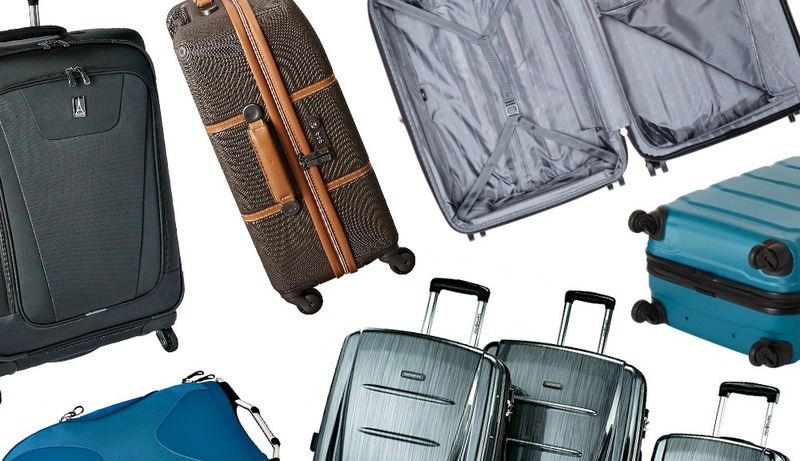 Here are the best carryon suitcases for traveling Europe! You should be able to travel carry-on only for all trips of any length. I’m a full-time traveler and I do! If I can travel in a carryon for more than four months at a time, you can, too. This is how I do it! 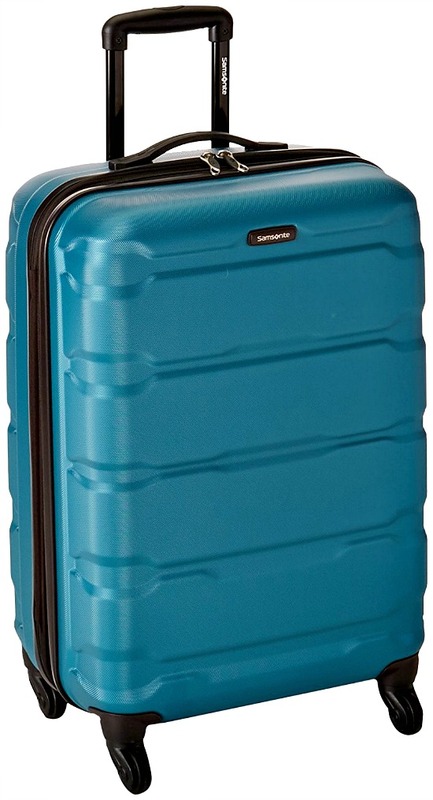 18 – 20” International Carryon: Considered the international carryon size, this is ideal if you’re using budget European airlines like easyJet or Ryanair. They have incredibly strict rules. Read my story! 21 – 22” Domestic Carryon: This is the most popular size of carryon luggage and we guarantee you can travel anywhere with a suitcase this size. Find out how! 23 – 24” Medium Checked: The size is perfect for travelers who aren’t quite ready to travel carryon and need just a little extra room. If you’re traveling with another person, it might be a better investment to just take one 25-27″ suitcase for both of you as mentioned below. 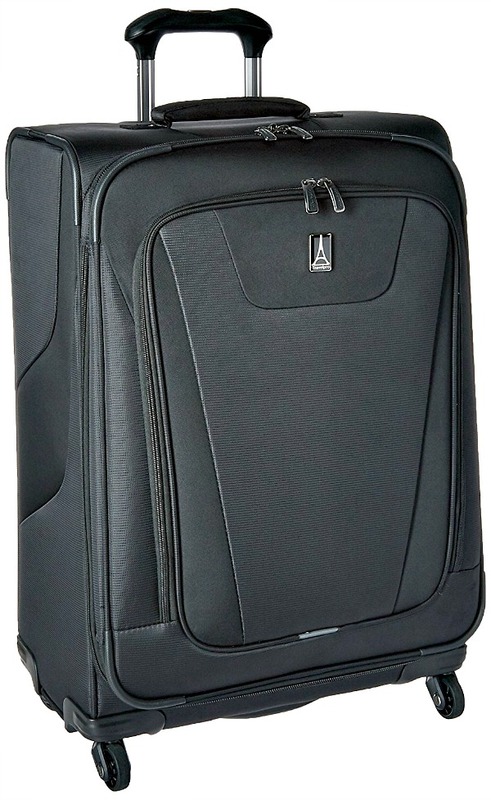 25 – 27” Large Checked: Generally, this is the most popular size of luggage to check as it has lots of room. Ideally, you would use this suitcase size if you wanted to check one bag for two people. If you’re traveling with a family, then you can also fit everyone’s belongings into one or two of these suitcases for easy handling as opposed to the oversized suitcase below that isn’t as easy to maneuver. 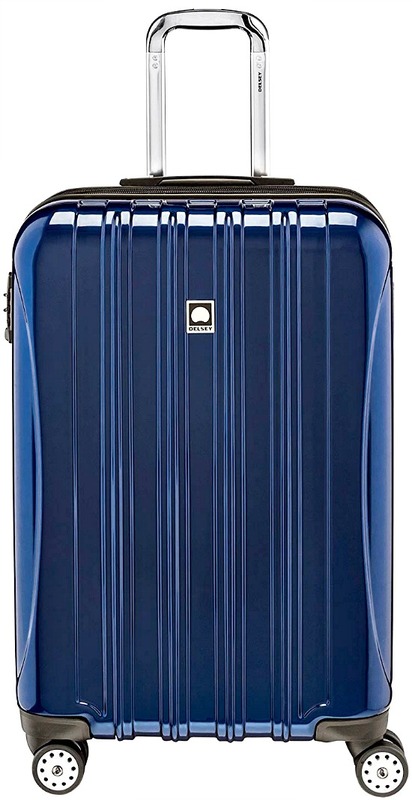 28 – 32” Extra Large Checked: These are very large suitcases with a huge capacity. Due to their size, they could be too awkward and bulky for standard trips. Be warned, they might exceed size and weight restrictions. Unless you’re planning to move abroad or will be in a single location for an extended period of time, you should never use a suitcase that’s over 27″. By carefully planning your travel wardrobe using these guidelines, you’ll always have exactly what you need. Also, keep track of your baggage weight, especially if you’re using a suitcase over 25″ where it’s easy to pack unnecessary items because you have more space. Many airlines limit you to 30kg / 50lb for checked luggage. Use a portable luggage scale to prevent overages before you arrive at the airport. Read my guide on how to stop overpacking and learn how you, too, can travel carryon only. Today’s suitcases come with a wide variety of cool features that affect transportation, packing, and protection. One thing to keep in mind is that the more bells and whistles there are, the heavier the bag! Need to pack for a 7kg baggage allowance? A minimalist suitcase is key! If your goal is to pack light, try to choose a suitcase that weighs less than 5lb or 2kg like this Delsey Trolley or my personal favorite, the Osprey Ozone. Select a bag with a recognizable color or print so it can be easily spotted on the luggage carousel and not mistaken for someone else’s bag. Try and stay away from white/cream; it’s more likely to get dirty. You can also buy luggage straps to easily identify your suitcase. A looped clip on the top of the bag, known as a piggy back clip, allows you to clip a second bag to the larger one–bonus! If your suitcase doesn’t have one, you can buy an attachment like this one. You have two choices when it comes to wheels: two or four. Suitcases with two wheels tend to be lighter but have the risk of tipping over if they’re not balanced. I find these easier to wheel if I’m running through the airport and they’re also easy to yank over a curb to maneuver uneven streets like in the scenario shown here. On the other hand, four wheels will stand upright, plus they are easier to pull sideways on a plane without hitting all the passengers as you find your seat. The con is that they won’t stay put unless they have a locking system like the sophisticated Chatelet by Delsey. Love that suitcase! It’s stylish and functional, too. A rolling suitcase is much easier to manage since you pull the weight instead of carrying it. Make sure your case’s handle is sturdy and easily retractable. Before committing to a suitcase, walk with it to make sure it doesn’t hit you on the heels as you walk. It shouldn’t drag too far behind you, annoying other travelers. You might also appreciate a padded handle for comfort. I prefer a single handle because it helps minimize luggage weight but some travelers prefer a double handle because they find it sturdier. Do you ever notice that your stuff tends to “grow” when you’re returning home from a trip? Nothing ever seems to fit. Find out why here. An expanding suitcase is great for this, but be warned: expanding your suitcase may mean it no longer fits in the overhead bin and you could be charged to check it. 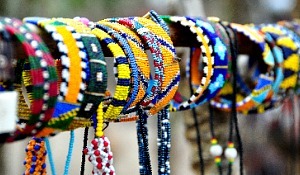 However, for those of us that love to shop for souvenirs (guilty!) then this is a good option. Alternatively, you can buy a packable bag to bring home souvenirs, too! Pockets and compartments are a useful feature to help organize all your belongings; for example, keep your 3-1-1 liquids bag in an external pocket so it’s easy to locate at the airport. Take a look at how I organize my suitcase. Even TSA was impressed! Whether they have zippers with space for a travel lock or they have an internal locking system, never buy a suitcase you can’t lock. Read more travel safety tips. One of biggest tips for choosing luggage is making sure it has water-resistant materials or has been treated with a moisture-resistant sealant on the inside to help keep your belongings dry. This works in the rain and also if baggage handlers lay your bag on dirty, wet, or sticky surfaces. 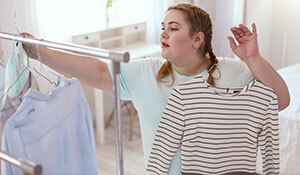 Jane Attard, CEO of BusinessKnowHow.com, suggests that you line the top and bottom of the suitcase with plastic, like a dry cleaning bag. That way, even if your suitcase does get wet, your clothing can stay dry. Suitcase covers help keep your suitcase clean and long lasting. I highly recommend them! Top and side handles make maneuvering your luggage much easier, especially when you need to lift it to place it overhead on the plane or other transportation. Choose luggage with strong, durable handles that will withstand the weight of your belongings. This is also a good reason to pack light–you need to be able to lift your own suitcase up several flights of stairs, especially in Europe! These stretchy, adjustable straps are great for helping you compress your belongings when everything’s in your suitcase. They also keep your personal belongings securely in place. Tip: Pack your suitcase the night before your trip to allow things to settle overnight. You don’t necessarily need to spend hundreds of dollars to have a quality suitcase. However, the suitcase should be well-made and able to withstand the roughness of travel. Depending on your activities, destination, and travel style, your needs will vary. Productivity and health coach Marcey Rader says, “High-quality luggage is a necessity. You’ll regret buying a ‘good enough’ bag when you are running down the terminal with your suitcase flopping along and then your handle breaks! That’s exactly what happened to me on a two-week trip to Europe. My friend took a cheap, massive 32″ suitcase to Europe and the handle broke the second day of our trip. Because she had overpacked, I had to carry it for her because she had back issues. Packing light also helps if you have back problems! Read these tips. I was NOT happy dragging a broken, heavy suitcase around Europe for almost two weeks. Do you know how many flights of stairs you encounter? Now imagine only spending 2-3 nights in one city then moving on to the next, trying to cram in as much sightseeing as possible. Don’t let this happen to you. Soft versus Hard Shell: soft bags are great if you plan on using your luggage as a carryon, because they are easier to squeeze into overhead lockers and can be lightweight. They are also said to absorb shock better than hard shells. The argument for hard-sided luggage is that it protects your belongings better. Whichever you choose, look for quality–lousy soft luggage can tear and cheap hard cases can crack or break. I’ve used both and like the hard shell for regular vacations whereas I use a soft shell bag for long-term travel. This is the best hard-side luggage for women! A broken handle is common when luggage is being thrown around at the airport. If you’re budget conscious, choose a two-bar handle that is sturdier than a one-bar in cheap luggage. However, if you’re investing in a quality brand, then one handle is okay. It will be lighter, too. 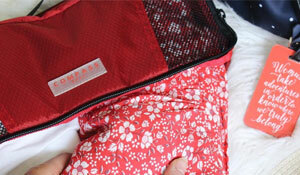 Zippers leave luggage susceptible to water damage from rain. Opt for hard cases with a latch system to avoid this. If you choose a suitcase with zippers, select pulls crafted from tough metal or durable plastic. The best way to keep your luggage safe is to have travel insurance to cover a loss. Only pack valuables in your carryon luggage if you can keep an eye on it. Adding security features to your luggage is a good idea, too. Make your case less accessible to thieves by investing in sturdy and durable travel locks, cable ties, and shrink wrapping. Be warned, though: expensive-looking security mechanisms can scream, “VALUABLES INSIDE”! It’s better to be safe than sorry: never pack valuables in a checked bag. Always keep them in your carryon or preferably your personal item. Read these tips on how to choose a “personal item”! A trusty lock is guaranteed to at least slow down a thief or put them off all together. A cheaper alternative to locks, these theft deterrents are easy to install and come in a variety of colors, meaning your suitcase can be easy to spot. However, cable ties can be quite easily removed with a simple nail file. Many airports now feature a shrink wrap station. Costing around $10 a pop, it’s a great way to deter people from slipping illegal items into your case or stealing from your bag. It’s also great for waterproofing your luggage! Invest in travel insurance that covers lost or stolen baggage. Keep all valuables and travel documents in your hand luggage so you can keep an eye on them at all times. Include a waterproof label on each piece of luggage with your up-to-date contact information (not your home address–this could highlight the opportunity of an empty house to thieves). If your case is lost, it has a greater chance of being returned to you quickly. And don’t forget to remove tags from previous trips! Check your luggage as soon as you land, that way you can quickly contact the airline and your insurer if anything is missing. Read more about safety in this post: Money Belts and the Best Anti-theft Travel Accessories. Travel luggage can be expensive. If you’re a long-term traveler, keep in mind that this isn’t just an average suitcase, it’s about to become your portable wardrobe for the duration of your travels. You need luggage that will last. Price generally reflects quality. 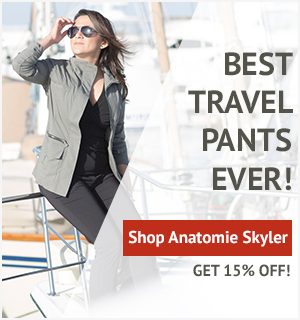 Search around for the best reviews from experienced travelers and opt for a case that suits your style of travel. Many times, expensive bags will include a warranty of some kind. Christina Ernst of VIP Alpine Tours/VIP Travel suggests steering clear from designer luggage, as it becomes more of a fashion statement than a quality choice for extreme traveling. You’re guaranteed to look stylish wheeling your Louis Vuitton through the airport, but not dragging it through the tropical terrain of Asia; designer cases are also more susceptible to thieves. 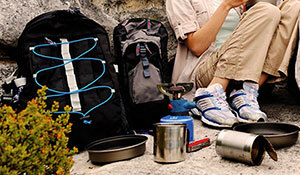 Visit websites like REI, Sierra Trading Post, eBags, and Amazon to shop around and compare features/prices. Visiting a physical store will allow you to test the bag before purchasing. This way you can determine which style, size, and brand suits you the best. If you are online shopping, order your case well in advance so you can return it if it’s not suited to you. Look for a retailer that offers free returns, like eBags. You can order several cases to see which you prefer, returning the others free of charge. Amazon also offers free returns on some items. They’re my preferred place to buy luggage as they tend to have the best prices. 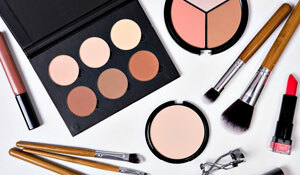 Sign up for email updates from online retailers to receive discount offers. Shop seasonal sales to get the best bargains. For even more tips, read this smart luggage buying guide! We recommend bringing along a lightweight luggage scale to weigh your cases before going to the airport. This will ensure you are below the weight limit and avoid extra charges. 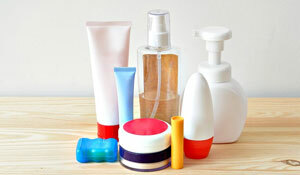 Also, use packing organizers such as packing cubes to help you simplify your packing process. Watch the packing tutorial on Youtube! In 2017, I launched Compass Rose Travel Accessories and my very first product was a 4-Piece Set of Carryon Packing Cubes. 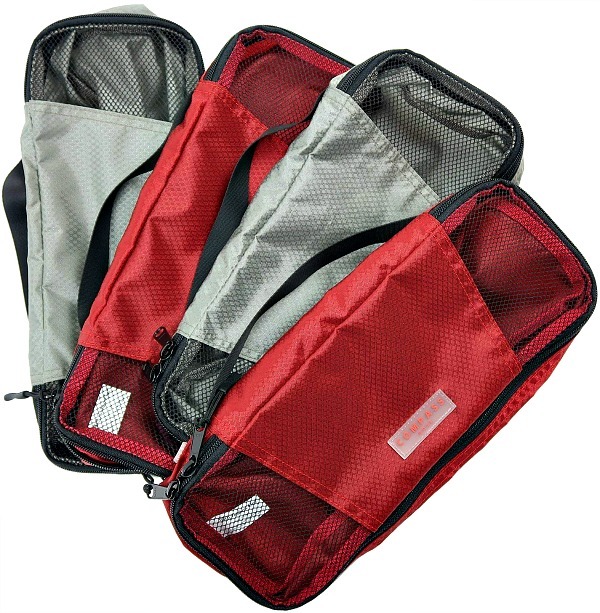 These are the only packing cubes sized to fit the exact width of a carryon suitcase and they also have a unique color-coded and numbered organization system – the only kind currently available anywhere on the market. I put together a five-part YouTube series showing you the different methods to use packing cubes. If you use this specific packing strategy, they can also compress your belongings. This is the secret to traveling carryon only! What are your tips when choosing the right travel luggage? Share and comment below! 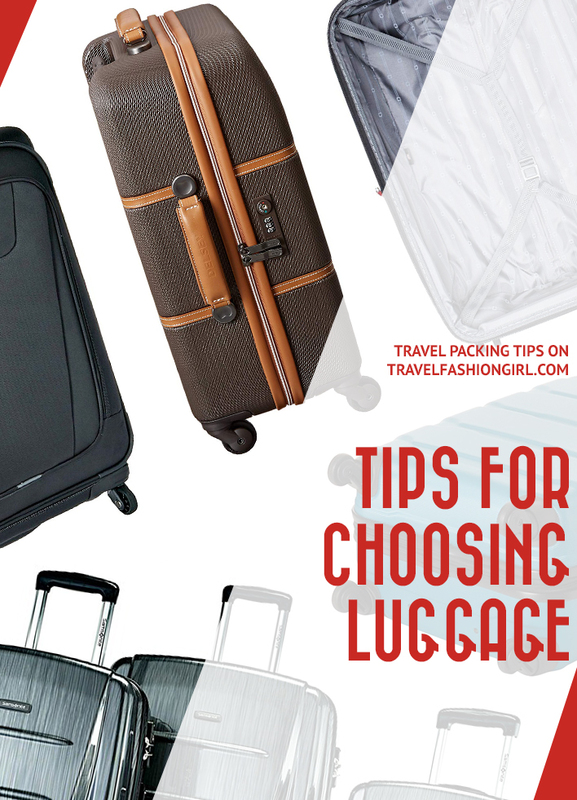 We hope you liked this suitcase post about choosing luggage for your travels! Please share it with your friends on Facebook, Twitter, and Pinterest. Thanks for reading! My daughter is studying abroad for 2 1/2 months to Italy. I bought her an Osprey backpack for getaways but she needs a checked bag. And she’ll probably over pack! Any recommendations would be helpful. Going to Cabo for a 7 day trip. What would be the ideal luggage size for 7 days? Hi can you recommend a suitcase for travelling for around 3/5 months. Hi can u plz tell me… How can I buy trolly by liters in online.. I can’t able to figure out … Plz help me… 20kg means how many liters ?? This article is so helpful. I’m looking at purchasing luggage for an upcoming trip and was wondering if you had any thoughts regarding two wheel vs four wheel luggage? What about duffel bags of the non-roll kind? I don’t like backpacks and I think a wheeled suitcase might give me too much temptation to overpack. Do you have any suggestions? Excellent tips shared. I particularly liked the safety measures which you mentioned in the blog. What is the orange back in the picture? I’ve been looking for a bag like that!